We have reviewed AutoCAD 2016 new features in interface and system enhancements. Let’s review what’s new in drafting and annotations. Again, there are no significant enhancements in this area. I expected something big like when Autodesk introduced Dynamic Block, Annotation Scaling, or Sheet Sets. However, some features do look very useful. You might like them. 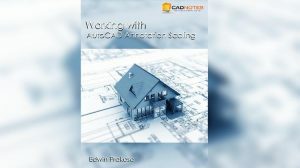 Let’s have a look at the new features you can use in AutoCAD 2016 for drafting tools. Annotations haven’t changed much for many releases. Annotation Scaling was probably the last major enhancement for annotations. 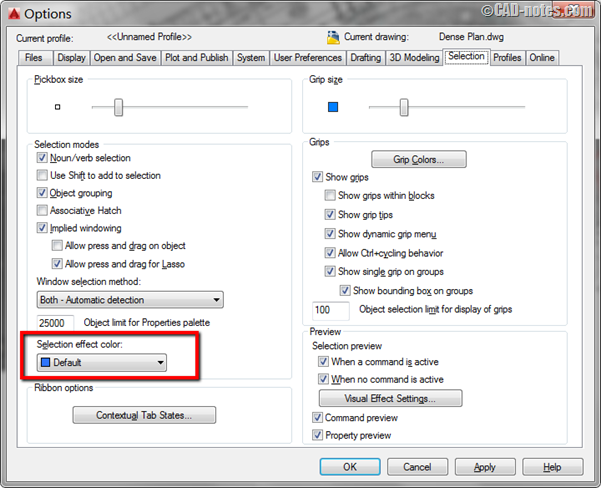 In AutoCAD 2016, we now have more options for drawing a Revision Cloud. Previously we only had the freehand method, now we have two more options: Rectangular and Polygonal. For me, these methods are much easier than using the Freehand method. In the past, I had always made my Revision Cloud by converting polylines or circles. If you select an existing Revision Cloud in your drawing, you will now see the Revision Cloud grips. This allows you to modify the revision cloud easily. In previous versions, you would see a grip for each arc like below. It was impossible to modify the Revision Cloud with these grips and we usually deleted the existing Revision Cloud and recreated it. So if you don’t like the Revision Cloud Grips for any reason, you can turn it off by changing the REVCLOUDGRIPS system variable to OFF. 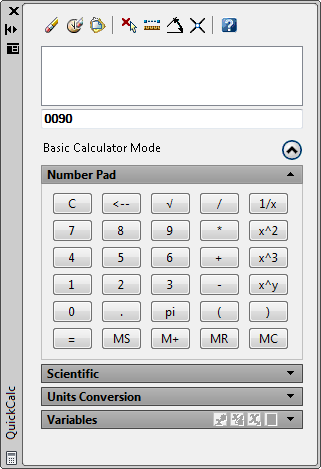 Revision Cloud tool now has Modify option. This option allows you to add a segment and delete unnecessary segments. Activate the Revision Cloud tool and choose modify from the tool options. In the example below, I have added three line segments to a rectangular Revision Cloud. Then I can delete a segment to form a new Revision Cloud. There are some interesting enhancements in dimension tools. These features should have been available in AutoCAD many years ago, but it’s always better late than never. Open Annotate tab. In Dimensions panel, you will see a layer dropdown list. 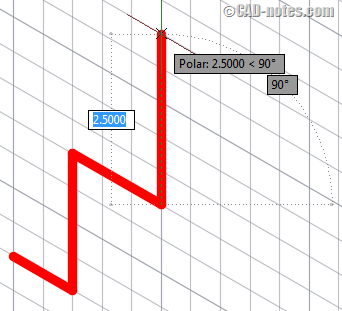 Here you can choose the layer in which AutoCAD will create the new dimensions. You don’t have to change the layer every time you draw a dimension. I find this quite handy; unfortunately, it’s only available for DIM command. It doesn’t work for linear dimension, angular dimension, text, table, leader and other commands. You might notice that the dimension tool has a new icon. As in previous versions, this icon will show the last dimension type that you used. In this version, you can use the same tool for different types of dimensions. One tool for everything. For example, if you choose a line, it will then create a linear dimension for that line. If you pick two points, AutoCAD will create an aligned dimension. If you choose a circle, it will create a radius or diameter dimension. And if you select two non-parallel lines, it will create an angular dimension. You only need DIM command to create various types of dimensions! When you create a dimension and click above an existing dimension line to place it, AutoCAD will offer to fix the overlapped dimensions. You can choose to move the existing dimension, break up, replace, or just ignore it. A very nice feature. As in the previous version, after you placed a dimension, the tool becomes inactive. If you want to create another dimension, you must activate it again. But that’s easy to do; just press Enter or Space to reactivate the command. It’s efficient now because we can use the dimension tool for any type of dimension. And that includes Continue or Baseline Dimension. Here is a simple enhancement in Multiline Text. Now you can set a Multiline Text frame. Unfortunately, I can’t find the option to change the frame margin distance from the text. Apparently, we need to accept the default margin for the frame, for now. In this section, let’s review what’s new in drawing tools. The Geometric Center Snap is my favorite in this area. I’ve been waiting for this feature in AutoCAD for years. Finally, we have it in AutoCAD 2016. Now you can snap to the center of any closed geometry. You can also snap to the center of rectangle or polygon easily. This is much easier than using Object Snap Tracking. Isometric Grid snap is not new. 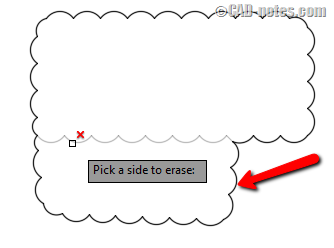 In previous versions, you could use it but the snap wouldn’t follow the cursor if you changed the ISOPLANE. 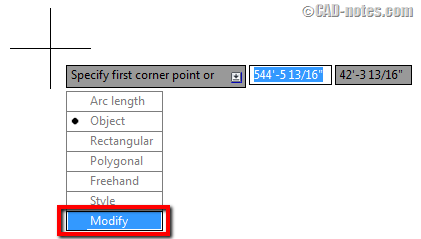 Now in AutoCAD 2016, the grid will align to the isometric plane that you are using. You can change the selection effect color. Make sure you have Hardware Acceleration turned ON to see the effect. Autodesk claims that there are some significant performance improvements in this version. They say this for every new version. But honestly, I don’t feel that these are very significant improvements. In this version, move and copy preview is generated quicker, allowing you to work with complex drawings with less frustration. There is also an improvement in property preview where it shows quicker. There is no significant improvement in drafting and annotations. But I do like the new dimension tool and Geometric Center Snap. The other features might be useful for you, but I don’t use them much. So what do you think? Do you like the enhancements in this area? Thank you to John Brandt of John H Brandt Acoustic Design for helping with the editorial review. I noticed that you said that the frame offset around text cannot be adjusted. This is unfortunately true, but there is a workaround. Go into the Multileader Style Manager and create a new style that does not have any leaders. Check the ‘Frame text’ box’. The frame margin distance can be controlled by setting the landing gap distance. You can even use this as the default way of using Mtext. It is easy to have multiple leaders (or no leaders) for Multileader annotation but you cannot select Mtext and add a leader. The new Dimension tool can be a little tricky at first so thanks for the great tutorial. We love passing these tips and tricks off to our students. Still no ghost image outlines for dimension text and dimension pointers after all these years! If AutoDesk can’t program it in, the least they could do is buy it from some software company! It is a pain trying to make text and its pointer arrows standout over illustrations. Still no ghost image for dimension text and dimension pointers after all these years! If AutoDesk can’t program it in, the least they could do is buy it from some software company! It is a pain trying to make text and its pointer arrows standout over illustrations. The new power dimensioning and being able to set the dimension layer is very useful for 2D AutoCAD.So far that and the geometric centroid are the only enhancements that are a big plus. The others are minor improvements. If our office used revclouds I would be jumping up and down for joy. I remember many frustrating times redoing revclouds to make them fit.